These movies are classic gems that, surprisingly, some people haven’t yet seen. Be sure to remedy that scenario and check out these unforgettable movie favorites. You’ll be so glad you did and you’ll wish you hadn’t waited so long to see them! Director Victor Fleming sends a young girl, Judy Garland, from a Kansas farm to a fantasy world in this 1939 movie. She meets and makes friends with a scarecrow, tin man and lion on her way to the wizard who will send her home. Or, it could all be a dream. This movie holds up after 70 years as entertainment for both adults and children. 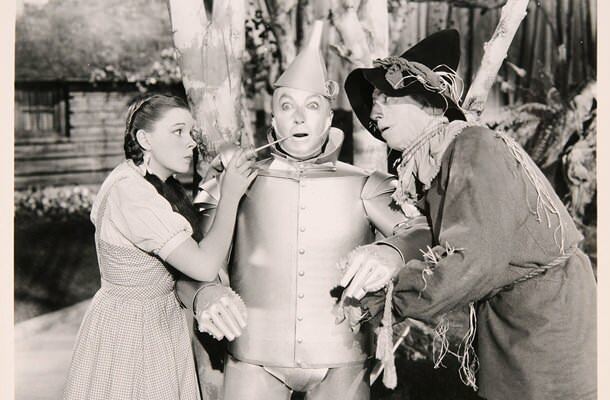 Though it has never been formally remade, a prequel to “The Wizard of Oz” was released in 2013. It was directed by Sam Raimi, the filmmaker behind the “Evil Dead” series and the “Spider-man” trilogy. It was called “Oz: The Great and Powerful” and starred James Franco as the man who would be Oz. The original, however, is an absolute must see from start to finish. Not only are the sets stunning, the music and acting are exceptional. While Garland is unforgettable as Dorothy, the supporting cast including the actors and actresses playing roles like the Scarecrow, Lion, Tin Man and Wicked Witch of the West are phenomenal. Even Dorothy’s dog Toto is perfectly cast! So get on the Yellow Brick Road and travel from Munchkin Land to the Emerald City and all the stops in between. You’ll be mesmerized no matter what age you happen to be when you see it.